Well done to our latest Sweet 16 badge winners! These are awarded to the Tinkas, created in the Tinka Maker during the week of June 22nd, that received the most votes during that week. 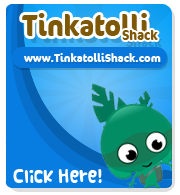 Make your very own Tinka in the Tinka Maker for your chance to win! The contest runs every week.